Dental ceramic veneers are one of the most important and highest recommended aesthetic treatments in today’s time. With time, veneers have improved to a great extent and the types of veneers have also improved in various spheres. The purpose of the veneers is decided based on the requirements of the case of the patients as well as the materials which are required for the same. Dental ceramic veneers are used in the patients when there is chip off of the teeth from a certain part or for the space closure in between teeth or for the minor alignment of the teeth. These patients can be treated well with the dental veneers as compared to the other treatments like orthodontic treatments. The time consumed by the veneers is much less and better than that of the orthodontic treatments. 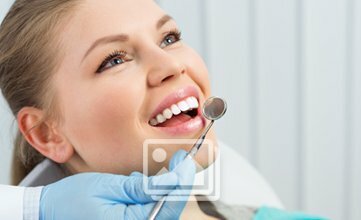 This ensures that the patients are satisfied with the type of the treatment done with the help of the veneers. Moreover, the veneers provide an uplift of the motivation to the patients who are looking for treatment options of the spaces or gaps in between the teeth. Before starting with the treatment, the dentist checks the status of the dental health of the patient so that the treatment can be carried out accordingly and in a more successful way. The periodontal health of the patients plays a very important role in determining the success of the veneers cosmetic treatments. In case the patient has compromised periodontal status then proper treatment is done prior to the commencement of the veneers. Ceramic veneers are of great benefit for the patients only when the carious tooth are treated well before starting with the veneers treatment. Dental ceramic veneers have a very successful rates since the time of the start of the veneer treatment. 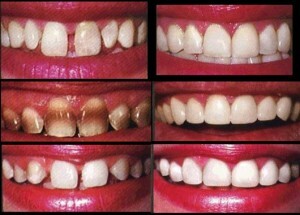 Moreover, the patients are taught well regarding the maintenance of the ceramic veneers for a long period of time. Most important thing is that the patients need to have realistic expectations with the results of the veneers treatment. In this way, the patients can have an idea of the expectations from the veneers treatment.